For the first time in nearly a decade, the rate of fatal traffic crashes in the U.S. has stopped dropping and is once again climbing, according to the latest reports from regulators at the National Highway Traffic Safety Administration (NHTSA). The fatality rate has jumped up more than 4 percent (also when compared to 2014). These remarkable increases may be due to the increase in motorists on the road this year (which has largely been attributed to a drop in gas prices and unemployment rates). And, researchers caution that these numbers are still subject to change, as they are still considered to be “volatile” until they are finalized. Nevertheless, the findings are now being taken as a sort of call-to-action by transportation safety officials, who are focused on fighting this trend and making every effort to bring the traffic fatality rate in the U.S. down to zero. Failures to use essential vehicle safety features, such as child car seats and seatbelts. USDOT is moving on many fronts to speed technology innovations that can save lives, from connected automation to the DADSS system to fight drunk driving… NHTSA is accelerating its efforts to strengthen behavioral safety programs at the core of its mission, and state and local governments need to adopt strong laws and enforce them. 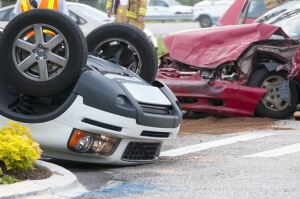 If you have been injured in a traffic crash – or if you have lost a loved one in a fatal wreck, you can turn to a Denver car accident attorney at Bell & Pollock, P.C. for experienced help advocating your rights and pursuing justice.